Earn up to 39 BKE Points Points. 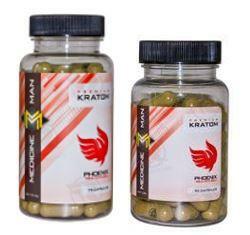 Users of kratom capsules are already familiar with its effects such as improved quality of sleep. 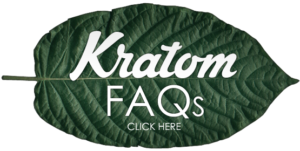 Kratom extracts are processed further, which is then formed into a solid resin. These extracts concentrate the alkaloids, which give kratom its effect, into smaller, faster-acting doses. 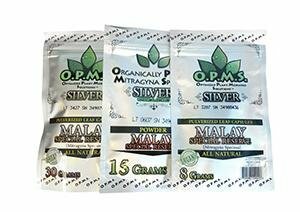 OPMS uses a proprietary variant of this method that preserves alkaloids even more effectively. 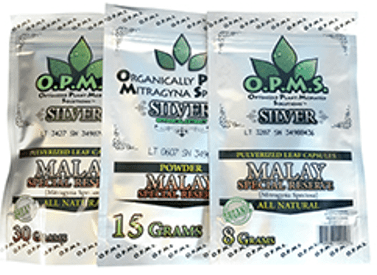 Like all OPMS products, Malay Special Reserve is finely crafted at every step, from harvesting only the best, most mature trees to the proprietary extraction method that yields pure, potent extract. Each batch is measured and tested for consistent alkaloid levels, too, making for more reliable dosage. At a 1x rating, Silver Malay Special Reserve has a lower alkaloid content than most extract capsules. 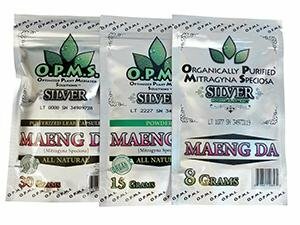 This rating is perfect for new kratom users, or for any user that likes to have finer control over how much kratom they’re taking at once.